A cancer diagnosis affects more than the disease’s host. Friends, family, and caregivers are all inclided in the new world disorder. When humorist and motivational speaker Izzy Gesell was diagnosed with prostate cancer in 2001 he was forced to take his own advice about the spirit strengthening power of humor. 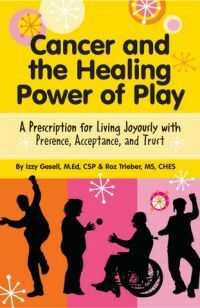 As a cancer survivor, experienced motivational speaker, and humorist Izzy Gesell has helped cancer patients, and their loved ones develop the necessary skills to bring more joy and happiness into their lives, no matter the situation. Through Life Balance/Stress management coaching, Izzy can help you and your loved ones look deal with the impact cancer can have on relationships and personal development.